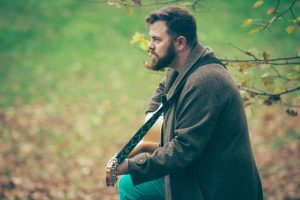 When LGBT+ representation at times seems sparse in folk music, Pedro Cameron – performing under the moniker Man of the Minch – aims to bring queer voices to the forefront. 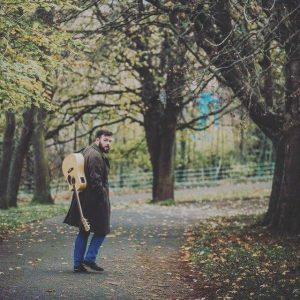 At one time the fiddle player for the successful folk band The Dirty Beggars, Pedro has carved out his own solo career, releasing debut Helping Hands in 2017, performing at Celtic Connections and winning a place through Capital FM to perform at this year’s TRNSMT festival. Pedro has also spear-headed “Bogha-frois” (Gaelic for rainbow) a free music workshop programme aimed at LGBT musicians in Scotland in an effort to celebrate the diversity in folk music. You have a wide range of musical influences: who are some of the key figures in your music taste and how do you think they have they informed your own sound? My taste does vary wildly – but I’ve always been drawn to female voices. I was brought up on country and folk music from America, Scotland and Ireland – I learned to sing and play guitar and fiddle from listening to Alison Krauss, Gillian Welch and Capercaillie. These days I love acts like Bon Iver, Bears Den, The Staves – but I also love electronic music and pop and R’n’B. When people ask me to describe what sort of music I play, I don’t really know what to tell them. I just make music that I would want to hear. I’m super inspired by Kacey Musgraves – her album Golden Hour, which came out this year, is brilliant and honest and blends so many elements, and that’s what I’m aiming for in my music. Having had such a successful run in the Dirty Beggars, how did you adjust to life as a solo artist? What are the key differences or challenges you’ve faced? It’s such a different beast. It’s nice to have full control over everything and choose what I do and who I do it with. I love The Dirty Beggars, and I love working as a team – but it’s great to make something that’s mine and mine alone. What were some of the inspirations behind your debut release Helping Hands? I just wanted to write songs about life. I never know where inspiration is going to come from – sometimes its a turn of phrase, or something I read in a book, or just trying to make sense of whatever is going on in my life. I try to be honest in my songwriting and talk about friendship, coming out, insecurity, failed loves. I wanted to call the EP “Helping Hands” to celebrate all the people who helped me make it. I got to work with some of my favourite people and musicians and they all contributed for no money. Their help was invaluable in making it happen. How much LGBT+ representation have you found in the Scottish folk scene? Pretty much none. I’m not really entirely sure why, but there’s nothing. I hope to change that! I’m really interested in the Bogha-frois project: what can you tell us about the project and what motivated you to start it? What is your main hope to achieve through these workshops? I’ve always felt like a bit of an island as a gay folk musician and initially, I just wanted to put something together just to find out if there are other musicians who feel the same way. I put a couple of ads on Facebook groups and Gumtree and stuff – then having thought about it a little more I put a call out for musicians on the Creative Scotland website. Following that, I got a flurry of interest from musicians as well as from Creative Scotland itself. I decided I would put together a series of workshops where LGBT+ folkies could come along and tell their stories and create music together which reflects those stories. Folk music is meant to be a storytelling medium and I felt that these stories aren’t being told. I am happy to say that the workshops are now full, have been funded and supported by Creative Scotland and Outspoken Arts Scotland, and the music created will be showcased at Celtic Connections in 2019. The workshops are led by some of Scotland’s most prominent musicians who all happen to be either LGBT+ or allies – I am particularly delighted to have Rachel Sermanni as one of the workshop leaders – she is a powerful voice in the scene and I am confident we can get people talking about LGBT+ issues in the folk tradition. You’re joined by a full band for your upcoming gig at the Hug and Pint: what kind of energy or dynamic do you think that will bring to the performance or songs typically performed unaccompanied? I try to write songs that work just as well with me and my guitar, or as bigger arrangements. I am lucky to have some of my favourite people and musicians adding their own perspective to these songs. I’ve added synths and drum machine, as well as traditional instruments like the fiddle and I, think the two blend surprisingly well. Get ready to dance! Supported by Deep Sea Tourist and Other Stories, Man of the Minch plays with a full band at the Hug and Pint on 08 Nov 2018.